Ships tomorrow if you order in the next 22 hours 5 minutes. Avocado is not just for guacamole! The oil from this delicious "fatty fruit" is not only richly hydrating, it's rich in nutrients, including vitamins A, B1, B2, B5, D and E as well as squalene, sterolin, lecithin, amino acids, oleic acid and chlorophyll, just to name a few. 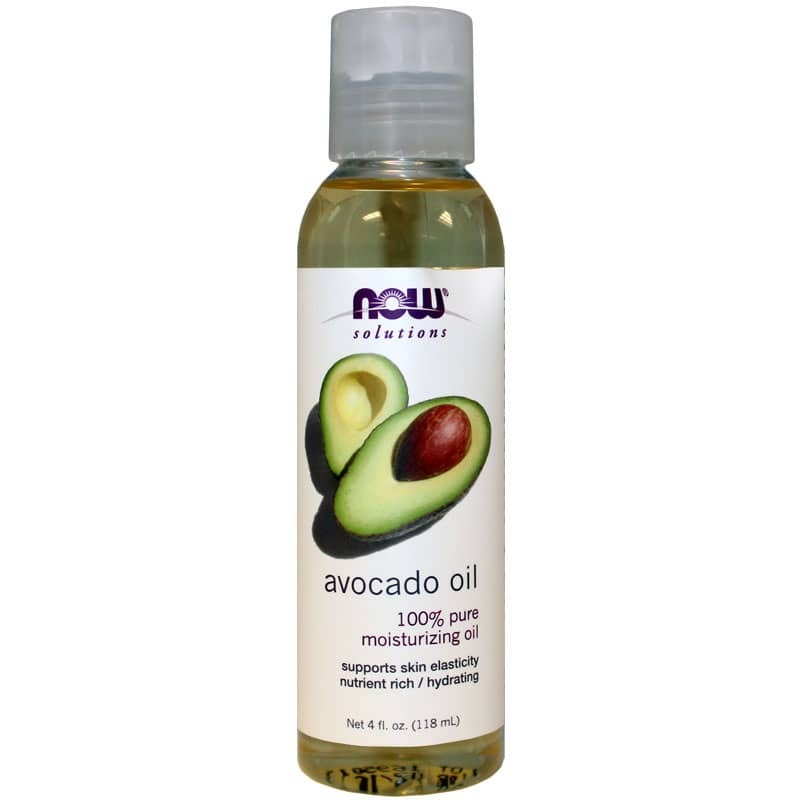 This Avocado Oil from NOW is a natural, expeller-pressed oil that may help nourish the skin, hair and scalp. Avocado oil boasts many benefits thanks to its impressive nutrient profile. It is suitable for dry, rough or sensitive skin and may help resolve some of the most stubborn skin conditions. It also makes an excellent makeup remover and conditioning hair or scalp treatment. Makes an excelled addition to body care recipes - massage oil, bath oil, shampoos, creams, lip balms and more! This Avocado Oil can help restore your skin's moisture, elasticity, plumpness and softness, or to help condition dry hair and relieve an itchy scalp. It can reduce signs of aging and help soothe skin after too much time in the sun. Order yours now! 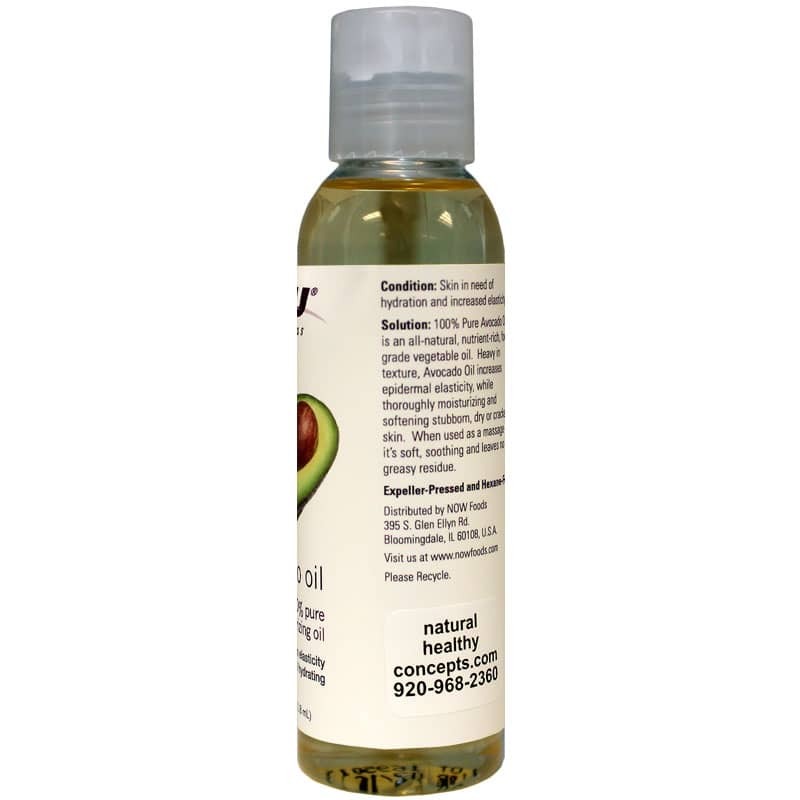 Pure Avocado Oil can be used as a scalp or skin conditioner, or as an emollient. It also makes a soothing massage oil.